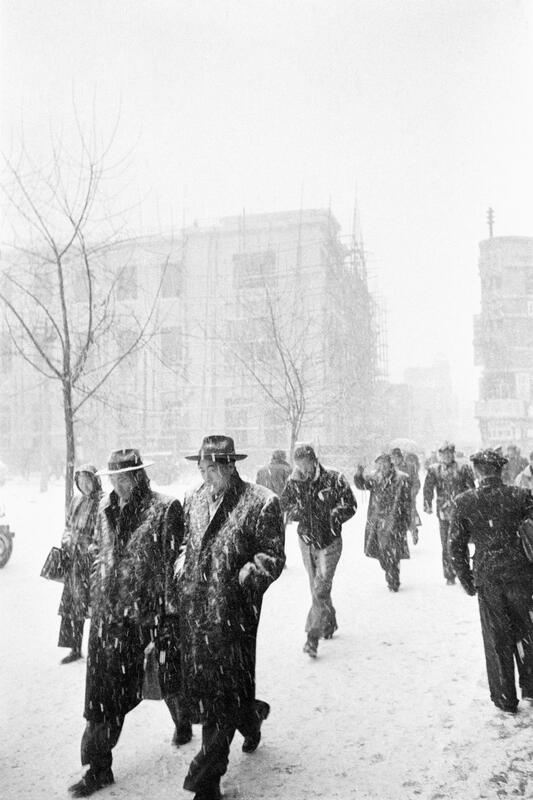 New York (Feb 24 - Jun 09, 2017) The International Center of Photography (ICP) will present the exhibition Han Youngsoo: Photographs of Seoul 1956– 63 in the ICP gallery at Mana Contemporary in Jersey City. From February 24 to June 9, 2017, the International Center of Photography (ICP) will present the exhibition Han Youngsoo: Photographs of Seoul 1956– 63 in the ICP gallery at Mana Contemporary in Jersey City. 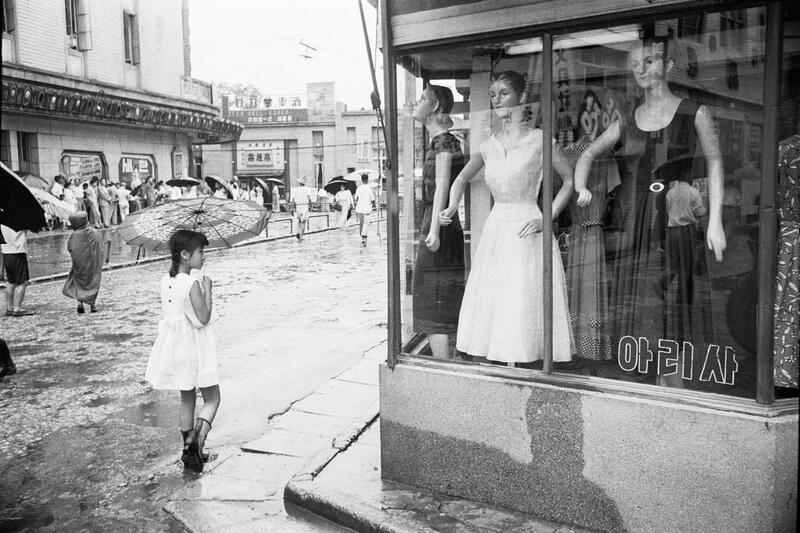 The exhibition, organized by ICP and the Waterfall Mansion & Gallery, will be the rst substantial U.S. showing of the work of Korean photographer Han Youngsoo (1933–1999), whose remarkable images bring to life the social and economic rebirth of Seoul in the years following the Korean War. The thirty-eight prints on view have been selected by ICP Adjunct Curator Christopher Phillips and Waterfall Mansion & Gallery Adjunct Curator Doo Eun Choi. A biographical video, Han Youngsoo: His Modern Times in Seoul, produced by the Han Youngsoo Foundation, will be on view in the gallery throughout the course of the exhibition. Han Youngsoo was little known outside of Korea during his lifetime. Seen from today’s vantage point, his photographs come as a surprise. With their impeccable composition, flawless timing, and scrupulous attention to social detail, they suggest the work of a long-lost Korean cousin of such early Magnum photographers as Henri Cartier-Bresson, David Seymour (Chim), and Marc Riboud. After taking part in bitter frontline ghting as a young South Korean soldier during the Korean War (1950–53), Han returned to Seoul at the war’s end and found a devastated city. 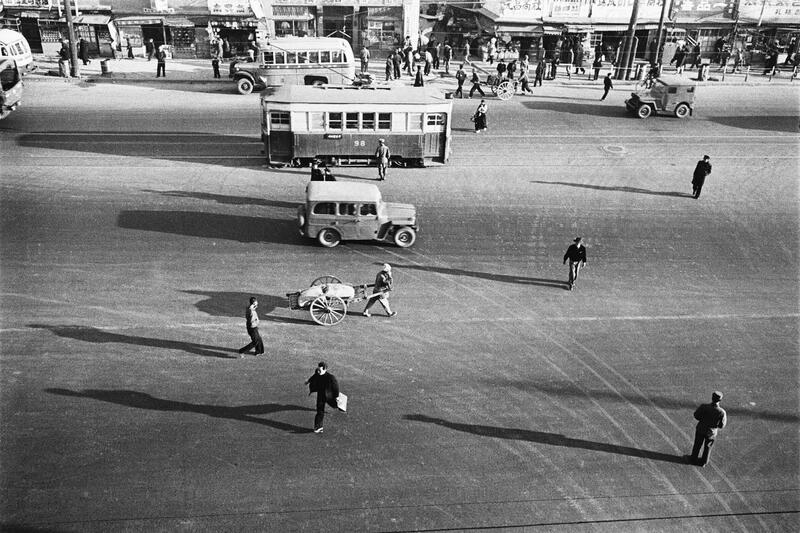 Choosing photography as a profession, he witnessed a period of profound transformation in Seoul that saw the rapid creation of a modern city and urban society. His photographs tell this story by offering a fascinating window onto the everyday lives of the city’s ordinary men, women, and children. Although he did not overlook the surviving customs and architecture of old Seoul—there are remarkable views of terraced hills crowded with traditional tile-roofed dwellings—Han was more interested in exploring the modern urban culture that was rapidly taking shape. His street portraits are lled with recognizable metropolitan types: an anxious young couple tending to their sidewalk used-book stall; a self-satis ed young woman strolling in a sleek furcoat on what appears to be a warm fall day. Han paid special attention to the changing status of Korean women, who were then nding new roles as entrepreneurs or consumers, as suggested in views of narrow streets lined with well-stocked fashion boutiques. Although after 1966 Han turned his attention to running a successful studio specializing in advertising and fashion photography, his photographs of Seoul in the postwar decade remain one of the richest and most humanly sympathetic visual records of those years. of his accomplishments. Han Youngsoo’s works have received growing international attention in recent years, and were featured at the Rencontres d’Arles photo festival in 2014. Two volumes of his photographs have been published by Hansgraphic: Seoul: Modern Times (2014) and Once Upon a Time (2015).